With this CySEC basic mock exam course, you will get all the key test questions to pass the CySEC basic exam. With this CySEC basic mock exam course, you will get all the key test questions to pass the CySEC basic exam. You can complete this course as often as you want, in order to be self-confident and well prepared for the exam. 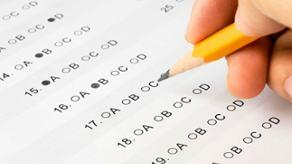 This CySEC basic mock exam course includes 50 challenging questions. After successful passing, this course many times, you will get the exam very easy. Special money-back guarantee: If you complete the course, sign up for the official CySEC exam and do not pass it, you can apply for a full refund of the course fee. You need to provide us with a copy of your letter from CySEC confirming that you have taken part in the exam and have not passed it. The standard 30-day money-back guarantee mentioned in our T&C does not apply for this course. This mock exam course doesn't include new CySEC requirements introduced in 2018.